Currently, in the Southern California market, there are small lot subdivision ordinances in place in Los Angeles and potentially Costa Mesa in the very near future. These small lot subdivisions ease requirements on developers of relatively small land parcels, yet they bring unique challenges and required forethought in the design and construction of the dwellings, particularly when it comes to the roof. With reduced open space requirements, the rooftop becomes much more a part of the current and future design in small lot subdivisions. Below are the top 6 things to consider when designing, installing and maintaining roofing for small lot subdivisions in Southern California. 1- Tight Coordination: Because small lot subdivisions typically have less distance between buildings, the coordination factor for delivering roofing materials, roof loading of equipment and working around other subcontractors requires precise coordination and project management experience to ensure jobsite safety and workflow. One mishap, or jobsite failure can leave the entire project stalled. 2- California’s Title 24 Guidelines: The state of California has been more regularly enforcing the Title 24, cool roof mandate for both commercial and residential properties. In December of 2013, Los Angeles City Council unanimously passed a building code update that will require all new and refurbished homes to have cool roofs, which use sunlight-reflecting materials. Los Angeles is the first major city in the country to require such a measure and more Southern California cities will undoubtedly follow suit. 3- Plan For the Future: Just as constructing a small lot subdivision can require well thought out planning and project coordination, one must also consider future roofing repairs and the burden of roof maintenance. Doing any kind of significant repairs in the future will require precise coordination with multiple tenants to get materials into tight quarters and hard to reach areas, while potentially blocking driveway access or entry to other tenants properties. Therefore, roofing materials used in small lot subdivisions should carry strong warranties, long life expectancies and require as little maintenance as possible. The cost of a future re-roof in such tight spaces could be costly! 4- Rooftop Solar: Small lot subdivisions typically build up, not out. 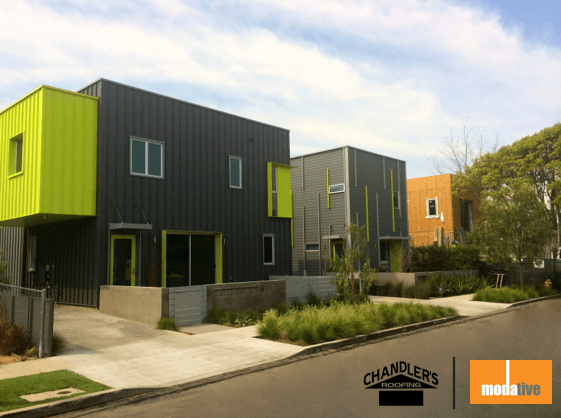 This creates the perfect opportunity to utilize the taller roof space for a solar footprint. Because these buildings are often built with height restrictions and similar building characteristics, access to the sun typically is not going to be an issue well into the future. An average, 5 kW solar array, can offset up to 74% of an average home’s electrical usage with the LADWP, assuming a $150 a month bill or more... Something seriously to consider. Additionally, when planning for small lot subdivision solar, the developer may want to seriously consider negotiating and recording solar easements for the properties, as this will eliminate future potential problems. 5- Natural Daylighting: Small lot subdivisions require unique designs and layouts to make them work efficiently. These projects typically don’t have yard space and may have some shading issues. With standard skylight and tubular skylight options, the roof space can become valuable real estate for drawing in natural daylight and ventilation into the structure. Additionally, the roof may be utilized as roof deck space in replacement of the yard or patio. Do not underestimate the power of natural daylight and utilization of the roof space when building value in a small-lot property. 6- Increased Property Value: Installing a high performing Energy Star rated, cool roofing system, with a strong, transferable manufacturers workmanship and system warranty provides added resale value for the property, while reducing maintenance and repair costs for future owners.  Nothing shows pride of ownership and well thought out design more than a high-performing, leak free, easy to maintain roofing system.